Carters Onesie Pyjamas in multicoloured stripe pattern - Super Soft Microfleece kids onesie with Bear Face Motif front zip, built in feet, with elastic ankle back for perfect fit. Carters Girls onesie pyjamas in Super Soft spotted blue microfleece with Princess Motif, front zip, built in feet with elastic ankle back for perfect fit. 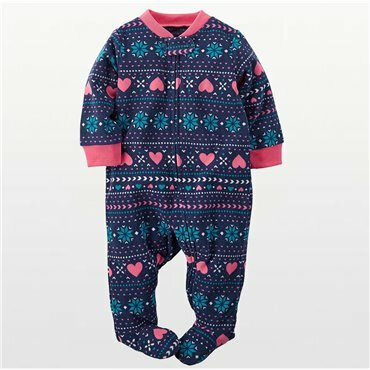 Carters Girls Onesie Pyjamas in Super Soft navy microfleece with allover multicolored heart prints with front zip, built in feet with elastic ankle back for perfect fit. 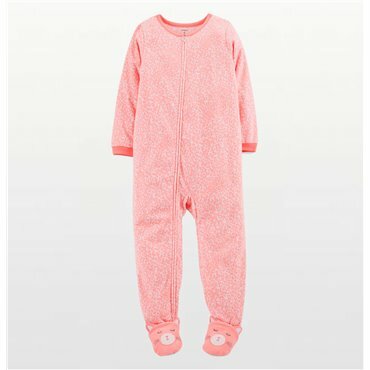 Carters Girls Pale Pink Onesie Pyjamas with allover spots and monkey motif - Super Soft Microfleece sleepwear with front zip, built in feet and elastic ankle back for perfect fit. 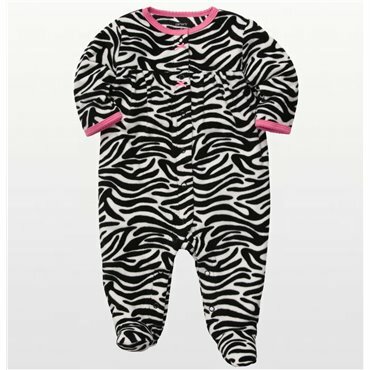 Carters Onesie Pyjamas in cute animal print pattern - Super Soft Microfleece kids onesie with front zip, built in feet with animal print design with red trim and elastic ankle back for perfect fit. 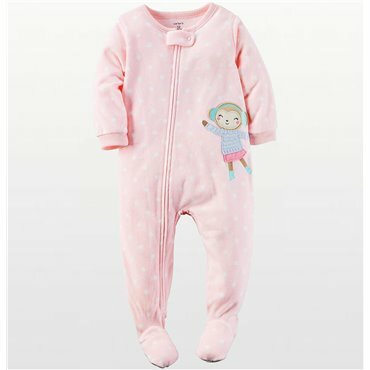 Carters Girls Onesie Pyjamas with allover silver spots on a super soft aqua microfleece sleepwear with front zip, built in feet with elastic ankle back for perfect fit. Carters Girls Onesie Pyjamas with with allover poodle print - Super Soft pale blue microfleece sleepwear with front zip, built in feet with elastic ankle back for perfect fit. Carters Blue Girls Onesie Pyjamas with allover colorful hearts and snowflake print - Super Soft Microfleece sleepwear with front zip, built in feet and elastic ankle back for perfect fit.